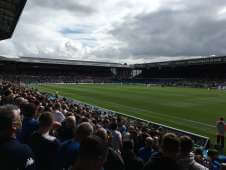 Elland Road stadium in Leeds has been the home of Leeds United A.F.C. since the club's foundation in 1919. Elland Road comprises four main stands - the Revie Stand, the East Stand, the South Stand and the John Charles Stand. With the corners, the total capacity is 37,890. Elland Road is an all seater venue. 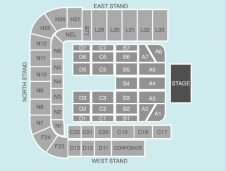 We currently do not have any events listed at Elland Road, please click on a seating plan for more information about seat locations at Elland Road.